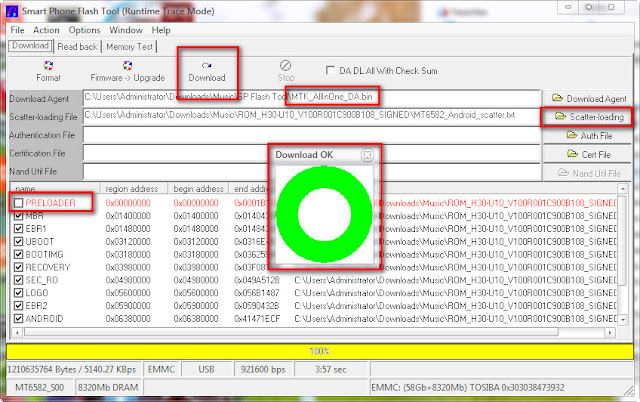 To update the firmware, you need Huawei Honor 3c H30-U10 Flash File FREE Update(MT6582) 4.2.2 1000% By anyromfree.blogspot.com. The flash file is the first condition to install the firmware. But you have to remember if you have limited stock ROM then your device can be installed easily. Huawei honor 3c firmware is here the procedure on how to flash Huawei H3 H30-U10alson known as honor 3c with Android 4.2.2 Jellybean Operating system. this is Mediatek MT6582 chipset that can be flash through a free flash tool like Smartphone flash tool. or some other problem, take note that flashing new stock rom will be delete all your personal data in phone like contacts, messages, photos that are saved to internal storage, and all installed third party application. we recommend to back up first all your important data before continue. just follow the instruction below. Have you encounter an error BROM ERROR: S_BROM_DOWNLOAD_DA_FAIL (2004) in flashing Huawei H30-U10? then here is the solution. First you need to flash first the SEC_RO file to unlock the bootloader. Download the secro-sign.img below then follow step 2 to 6 below. it will show like this when flash is done. 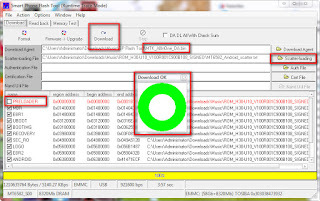 First you need the following files Download all and extract files anywhere in your computer. Select the Android_Scatter.txt from the firmware you downloaded. After you load the file, press download to start flashing your phone. Then plug usb cable while pressing the volume button, release the button if the flashtool detected. Repeat step 5 until flashtool detect your phone. Wait until the flashing is done.